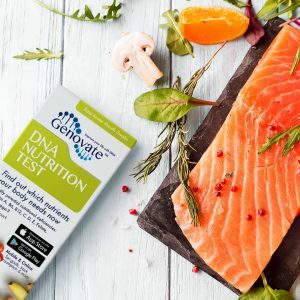 Home Health Skin Health Did you know DNA influences your skin health? From “skin as white as snow” to “liver-spotted hands,” your skin defines how the world sees you. It sets that first impression. Skin is also our first line of defence against nature, which means scars, age spots and wrinkles are really reminders of battles fought and won. Wouldn’t it be fitting then, if we could offer our skin special attention to preserve its allure? 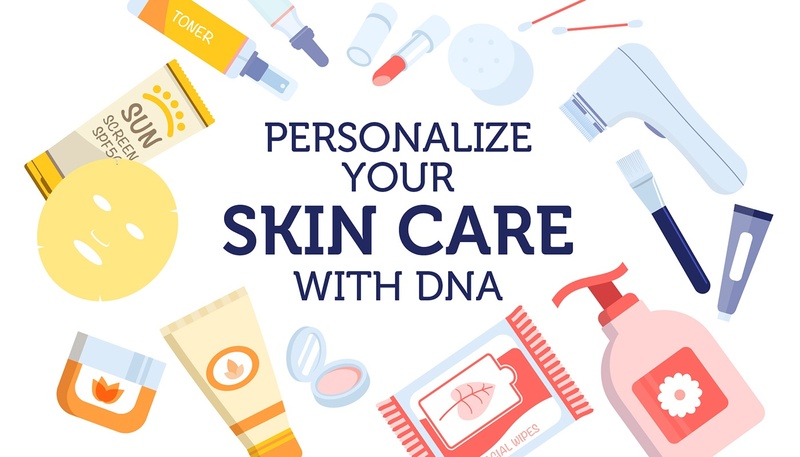 From choosing the best products, to diets and habits, the secret to personalized skin care is in your genes. 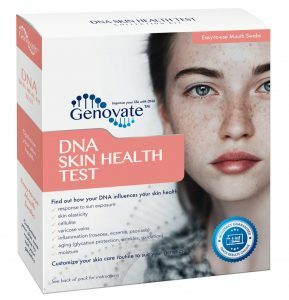 Skin is unique from person to person, because many of its qualities like texture and appearance are influenced by genetic variation. Studies have linked hundreds of gene variants to different aspects of the skin. Photo-aging or the premature aging of the skin from being exposed to ultraviolet (UV) light, is a perfect example. Every time we go outside, we are exposed to harmful UV rays, because the natural protection offered to us by the ozone layer is slowly wearing off. Activities like tanning and sunbathing will increase this exposure even further. MMP1 is one of the many genes involved in photo-aging. This gene encodes the matrix metalloproteinase-1 enzyme, which is switched on in the presence of UV light, and plays a role in collagen breakdown. Some of us carry a MMP1 variant that makes extra enzyme, increasing collagen break down. Since collagen provides support to the skin, a person with this version of MMP1 is at higher risk of developing wrinkles. Silky, radiant skin calls for vitamins and minerals. Dry skin, discoloration and conditions like acne and eczema are common signs of vitamin deficiency, especially vitamin A. Most of the vitamin A in the body is made from beta-carotene, a nutrient found in fruits and vegetables that are orange-red in colour like carrots and pumpkin. 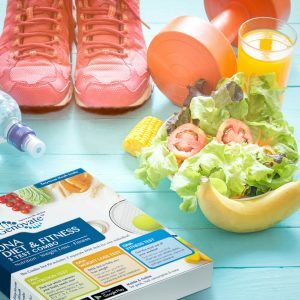 The beta-carotene oxygenase 1 enzyme (encoded by the BCO1 gene) is responsible for converting beta-carotene into active vitamin A. Women with certain versions of BCO1 are are not as efficient at making this conversion and are more prone to rough, dry skin. The fix fortunately is quite simple. You need to increase your intake of vitamin A, either by changing your diet or by taking a multivitamin. Finally to aesthetics. What about cellulite? Those pesky deposits of fat that make the skin look like an orange peel. People with specific versions of two genes, ACE and HIF1A are more likely to develop cellulite. Another gene, elastin (ELN), is implicated in stretch marks. This variant may explain why your pregnant belly was covered in stretch marks, when your best friend’s wasn’t. You will be happy to know that scientists are actively working on finding ways to help us fight these genetic predispositions. 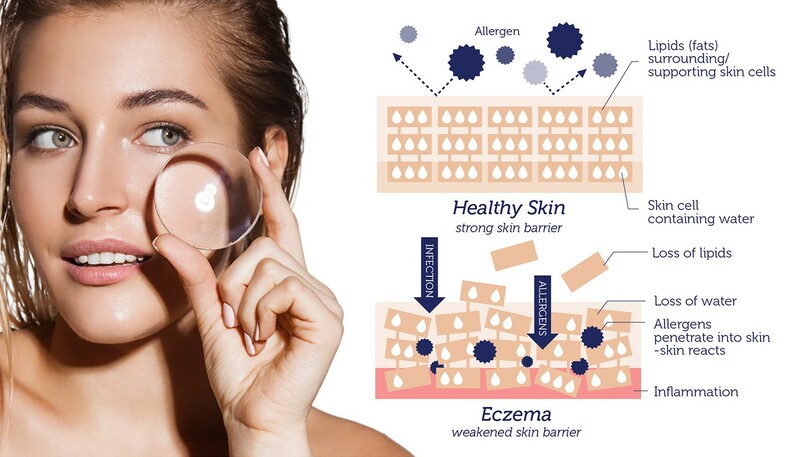 With a skin care industry worth over 120 billion dollars, it is not surprising that there is a suggested remedy to every single one of our skin issues. VitaNiacin, CoQ10 or hyaluronic acid, to defy aging. Bio-oil, cocoa butter or vitamin E, to battle stretch marks. And for cellulite, maybe a formula with glycolic acid, retinol, caffeine or sunflower. With endless possibilities, the choices can become overwhelming. Perhaps it is time to let genes lead the way and discover a skin care routine that fits your skin just right. 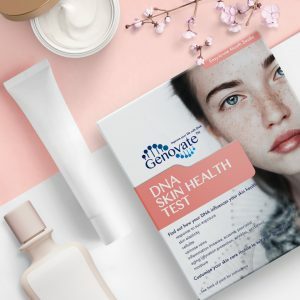 Give your skin the attention it deserves with the DNA Skin Health Test. Previous articleDid you know DNA influences your athletic ability?